Today I’m welcoming one of my favourite authors who would like to share some wonderful news with you. I’m talking about Joana Starnes and I hope she is able to tempt you to listen to Miss Darcy’s Companion on Audible. I’ve listened to it last week, and I’ve got to say that it is one of the best audiobooks I’ve heard. The talent of Joana’s writing combined with Stevie’s impeccable narration makes it irresistible! If you have not yet tried Audiobooks, you can always try the Audible free trial period. Thanks for having me as your guest today, Rita, to talk about my latest book to come out in Audible – Miss Darcy’s Companion. What better way to start than by thanking you and Stevie Zimmerman for making it happen? 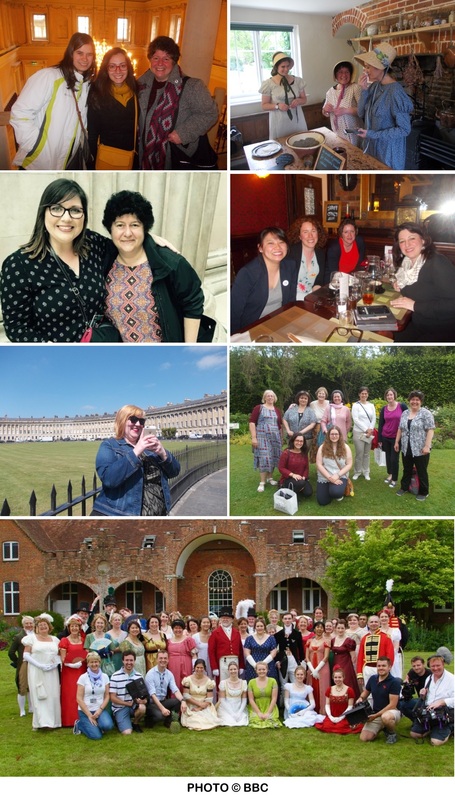 My guest post on your blog, back in May 2017, told the story of these exciting new beginnings, and how it was thanks to you that I finally ventured into the wonderful world of audio-books. You gave me the much-needed nudge, and along with Nicole Clarkston and Elizabeth Adams, who generously shared their experience and advice, you lovely ladies gave me the impetus and the tips I needed to begin releasing my books in Audible too. As for introducing me to the magic of Stevie Zimmerman’s narrations, I really can’t thank you and Nicole enough! Just as I said then, I only had to listen to samples of her wonderful renditions to fall in love. Stevie’s Elizabeth and Mr Darcy sound just like the voices in my head. To say that her Mr Darcy is 100% swoon-worthy is a serious understatement. He’s in turns dreamy and softly-spoken – or his icy disdain cuts like a knife when some poor fool (like Mr Collins) manages to anger him. Elizabeth’s voice rings and shimmers like a bell and dear oh dear, you’ve got to hear Stevie’s Mrs Bennet and her Lady Catherine! Every character comes alive and speaks to you, enticing you further into the story. Goodness me, hasn’t she just! 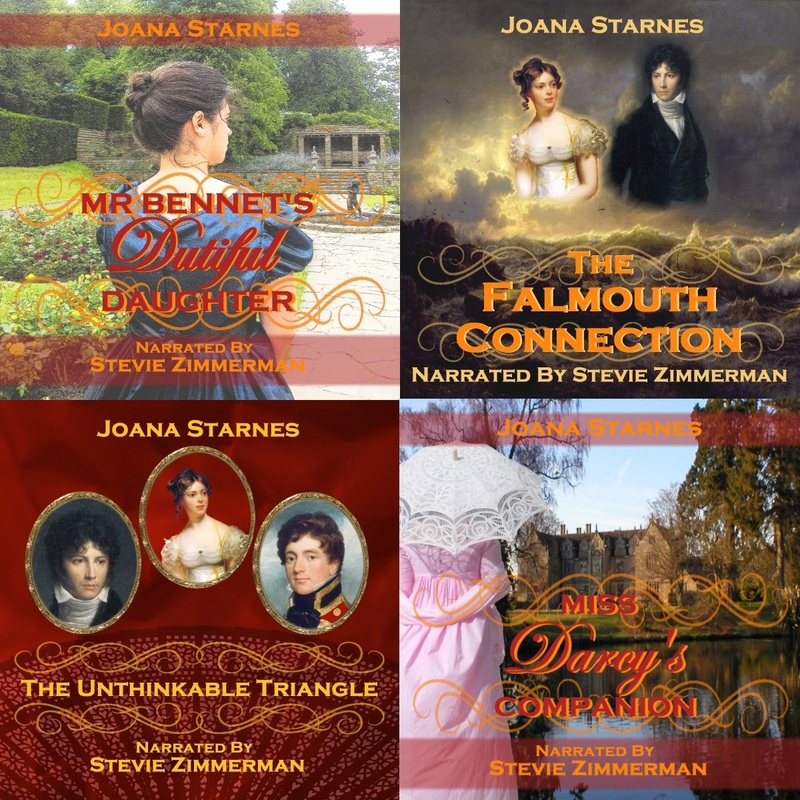 Swooning guaranteed when Stevie narrates the midnight kiss scene in The Falmouth Connection, and she’ll tug at your heartstrings with Mr Darcy’s ‘Desist!’ in Mr Bennet’s Dutiful Daughter, or his ‘This cannot be! This cannot be!’ in The Unthinkable Triangle. You can listen to a very deep, vulnerable, intense – and in this case shell-shocked – Mr Darcy in this Audible sample, and you’ll know what I mean. Stevie Zimmerman’s production of Miss Darcy’s Companion is just as brimming with emotion, as Mr Darcy discovers his feelings and struggles to decide precisely what he should do about them. I hope your readers will enjoy listening to it too. The Audible 30-Day Free Trial is ever so easy to set up and use, and 10 Audible download codes are also up for grabs (there is a link to the international Giveaway at the end of this post). It was so wonderful to see 2017 bringing the launch of most of my books into Audible, along with several other exciting adventures, and the joy of meeting dear friends. So, what next? Pemberley beckons (doesn’t it always? 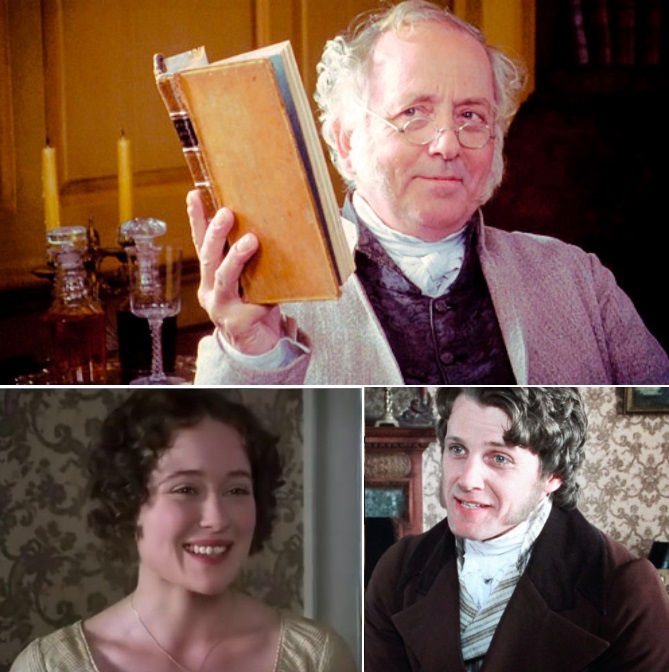 ), and it had recently occurred to me that in three books out of my seven I’ve been terribly unfair to Mr Bennet. So perhaps I owe him a novel where he doesn’t meet with an untimely end, and is rather more central to the story. For once, I thought he might leave his library now and then, and take steps to influence his daughters’ future. His teasingly affectionate relationship with Elizabeth deserves more than a footnote, and besides it’ll be great fun to imagine Mr Darcy suddenly forced to deal with a disconcerting fatherly figure who is not in the least intimidated by him and his position in society, but is quick to join ranks with Colonel Fitzwilliam and take Darcy down a peg or two, or none-too-gently nudge him in the right direction whenever it looks like he’s about to make a complete fool of himself and/or make a hash of his courtship. Also, in my other novels, there was plenty of opportunity for longing, but not so much for banter. Darcy spent a great deal of time yearning for Elizabeth, but nowhere near as much flirting with her. I think this is about to change. Courtship and flirting are the order of the day, and it looks like Darcy is going to find himself caught in a crossfire between his cousin’s wit, Elizabeth’s and her father’s – and Heaven help him if he can’t keep up! But, as Mr Collins would say, of this – thereafter. Thanks for stopping by, and please follow the link to the international GIVEAWAY, for a chance to curl up with Miss Darcy’s Companion in paperback over the holidays, listen to Stevie Zimmerman bringing the story to life, or win a bag of goodies from Pemberley, Bath and Chawton. Thanks again for the wonderful welcome, Rita, and here’s to a good end to 2017 and a great start for 2018. I think I say this in every comment I do on a Joanna Starnes related post, but it is the delightful truth: my very first JAFF was The Unthinkable Triangle and it was directly responsible for my reconnection with Rita and my being engulfed in this wonderful world of stories and incredible people, so Joanna will always have special place on my list! I am not usually inclined to audiobook versions, but I do feel tempted after this post… having recently begun listening to story type podcasts, I can see the magic that can be weaved and with Joanna’s wonderful writing it can only be a delightful experience! It took me a long time (and a long-ish drive) to discover audio-books. I’m quite impatient by nature, and I used to think I’d be lost if I couldn’t leaf / flick / swipe to the next page 😀 . But an excellent narrator, such as Stevie Zimmerman, adds a completely new level to the story, and it’s so great to have the flexibility to still enjoy a book at all those times when our hands & eyes are otherwise engaged. I hope you’ll like the audio version, Rellaenthia, and thanks so much for the ever so kind words about my books!! Absolutely, Stevie’s narration adds to Joana’s perfection, though I hadn’t believed it possible before I tried it. Now I get every one of them. I loved the new ideas, I am a big fan of playful teasing as a way of bonding and when wits are high it only gets more delicious! Cannot wait for the new adventures of Bennets and Darcys! Thank you! It’s going to be fun to imagine the high and mighty Master of Pemberley learning to put up with teasing. All the best and thanks for all your lovely comments! I do love Joana’s books paired with Stevie Zimmerman’s voice. And ooh… love the idea of a more involved Mr. Bennet for a story. Thanks so much, Sophia Rose! Stevie’s narrations are so dreamy, she has such a magical voice. Great to hear that about Mr B too. I’ll try to keep it real & not make him a paragon of parental care & attention. He still needs to escape into his library, otherwise D & E won’t have a moment to themselves (and that will never do 😉 ). Last month, just by following Rita’s blog, I was lucky enough to win one of Joana Starnes’s books and to meet Rita in person. I haven’t yet read it but I love holding that book. I was so happy to find the autograph last week and the Walter Scott poem really struck a chord. I really think I will love it. Joana, I am stalking you my dear. Yep… I have the eBook already, loved it and would love to own a paperback copy… just so I could hold it in my hands. I really liked your new story idea about Mr. Bennet. Put me on the list to read it ASAP!!! Yep… I definitely want to see that one. Thank you for sharing today. The pictures were so nice of you and your friends. Blessings on the launch of the audio versions of your books. Also, thanks to Rita for hosting today. I love the blog tours. Can’t have enough of chatting to you, JW! I hope you win a paperback, and thanks so much for thumbs-up for the new ideas. I can’t wait to run with them 😀 .You’re so kind, thanks for all the good wishes and I hope you have a wonderful December and a great start of the New Year! I really need to get into audio books. Sounds like a great place to begin. So glad to hear that, Mary, thanks 🙂 Hope you give audio-books a try and that you like them. Stevie Zimmerman’s are such a treat! Best wishes and thanks for stopping by. I’m really sorry but I’m still not tempted by audio books as I much prefer to read at my own pace . Saying that I have read all your fabulous books Joana and am really really really looking forward to one with a courting, flirting Darcy and a caring, concerned Mr Bennet. Oh did I mention really? Thanks ever so much for visiting today, and for the wonderful words, Glynis! I’ll get cracking, then 😀 . Poor Darcy, he’s not used to having a father-figure around, and definitely not one like Mr Bennet. I think this is going to be such fun to write. Wishing you all the best and thanks for all your support and the love for my books. Take care and have a wonderful December! Congratulations Joana! I haven’t taken the plunge yet myself into audio but I do want to try. Now this may be a silly question, but if I download the free trial of audible on to my computer, I can just listen from there…right? I am not techy at all! Thank you at a chance to win…especially the signed copy of one of your books!!! Thank you so much Rita for the help! It is greatly appreciated! So glad to hear you’d like to give it a try, Carole. Yes, you can listen to it from your computer, I’ve opted for that too. Best of luck in the giveaway and thanks for taking part! I hope you’ll like ‘Miss Darcy’s Companion’, Stevie is so awesome in it! Thanks so much, Rita, for this wealth of info and for hosting me today. It’s great news that you still have access to the saved audiobooks, even after cancelling the subscription, I never knew that. Take care, have a good day and thanks again, you’re amazing!! Love Stevie’s voice for Mr Darcy. Look forward to hearing this latest release. So do I, darcybennet, SO much! Absolutely wonderful tone and everything. ‘Deep, vulnerable and intense’, the lady who said that in a review absolutely nailed it! Thanks for stopping by to read the post, and best of luck in the giveaway! Do my eyes deceive me or have I read correctly that you’re thinking about creating a story centred around ODC peppered with delightful banter, flirtatious flutterings,flattery and witty repartee,with Mr Bennet playing a more influential role??? Count me in!!! I’ve a soft spot for this gent and would dearly love to see a flustered and lovelorn Darcy pitting his wits against the joint forces of Lizzy and her dear father! I’ve both read and listened to ‘The Falmouth Connection’ and agree that Stevie did a fantastic job as narrator. How she swayed from encapsulating the proud, haughty and self assured Darcy that we meet at the start of this story,to the deeply sad and disbelieving yet oddly accepting Darcy we encounter when he finally realises that Lizzy was never interested in him as a potential suitor,is quite beyond me!! Yet,she manages it with such aplomb that we cannot fail to admire her versatile vocal talent. Best of luck in your future writing ventures,Joana. Hope this audiobook is well received!!! I’m so happy you listened to ‘The Falmouth Connection’ in Audible and liked it, Mary! Stevie truly is a wonderful narrator, and the range of emotions she portrays is so amazing! LOL no, your eyes don’t deceive you, that’s what I was hoping to achieve, (as soon as I figure out how to get from the tricky beginning to the banter, flirtatious flutterings, flattery & witty repartee 😉 ). Mr Bennet will certainly play a more influential role, and it’ll be a shock to Darcy’s system that he can’t control everything, and that someone has the power to influence his life with a simple ‘Yes’ or a ‘No’. So glad I can count you in, and I’d better get cracking! Many thanks for your wonderful words and for stopping by to read the post. Best wishes and have a wonderful Christmas! Joana Starnes is the best. I have loved all of her books and look forward to hearing Miss Darcy’s Companion on audio. Thank you for the giveaway. Thank *you*, Eva, for the wonderful praise! I’m so happy you loved my books, and I hope you’ll enjoy ‘Miss Darcy’s Companion’ in audio too. Best of luck in the giveaway and thanks for taking part! Aww, Joana!! Love this post and our picture… such a happy couple days spent in your company and so amazing to meet you! And I’m LOVING the premise for the new story!! I have such a soft spot for Mr. Bennet and am looking forward to you having him around to keep Mr. Darcy on his toes! It’s sure to be amazing! Bring on the banter and flirtation!! I loved meeting you face to face, Jami, and those couple of days were such great fun! I’m so glad you’re loving the premise for the new story, and that you’re all on board with keeping Darcy on his toes 😉 . Thanks so much for the vote of confidence, and can’t wait to see what you think of it when I’m done! Love Joana’s books. Congratulations on this audible release. It’s great that the narrator’s voice acting turned out so well! Thank you, John, so glad you think so! Many thanks for visiting and all the best! I love your plan for a new book Joana – more Mr. Bennet and banter. I love variations with Darcy and Mr. Bennet getting to know each other and developing a relationship. And Darcy courting Elizabeth, another favorite of mine. Looking forward to reading it. Any time frame for release you can share with us, Joana? Pretty please. 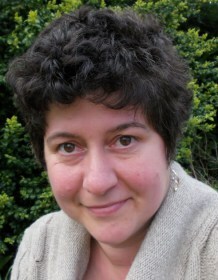 Love your books Joana! Looking forward to listening to them as well. A good narrator really makes or breaks an audiobook experience. So true, Dung, a good narrator makes all the difference! Thank you for sharing your journey into Audible, Joana. And also for updating us on what’s next in your writing endeavours. I wish you all the best and hope to see where you take Mr Bennet. Wishing you all the very best too, and thanks ever so much for your kind words, much appreciated!